Yeah, this is a tiny bit of news, but it was also an excuse to write about Hatsune Miku again, so why not? 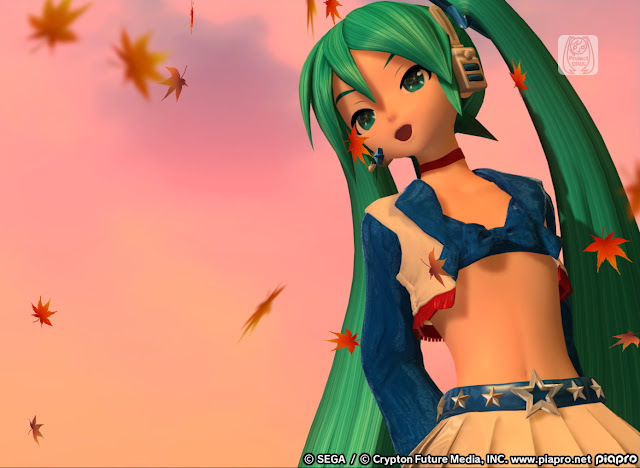 On April 19, SEGA will release a patch for the Japanese version of Project Diva Future Tone. This patch - Version 1.06 - adds Extra Extreme difficulty to ten more tracks in the game. In addition, there will be minor bug fixes and the like. I know that doesn't sound like much, but Extra Extreme difficulty is beyond brutal, so if you like any of those ten tracks, you could easily get another dozen hours of play time out of trying to clear each one, let alone get a "Perfect." As yet there's no news about a western release of this patch, but one assumes it will come.